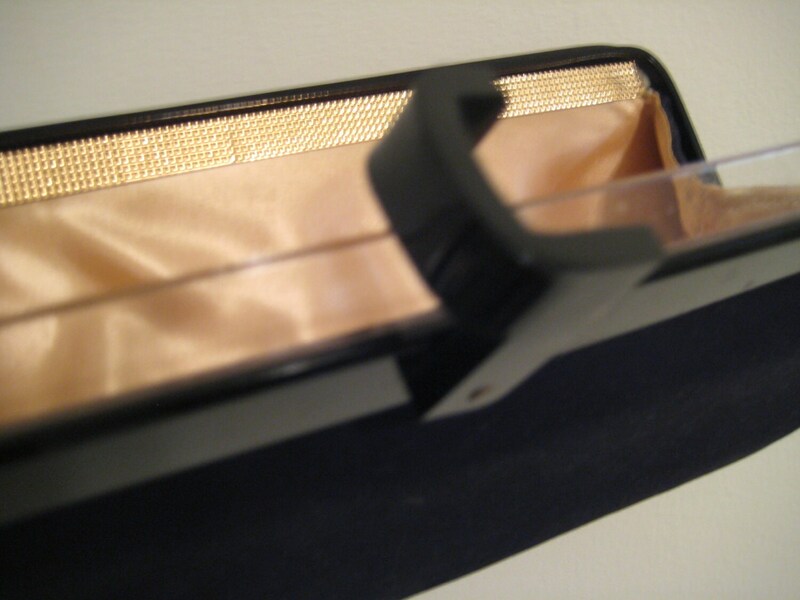 Fabulous black fabric clutch with Lucite frame and latch. Marked "Siran." 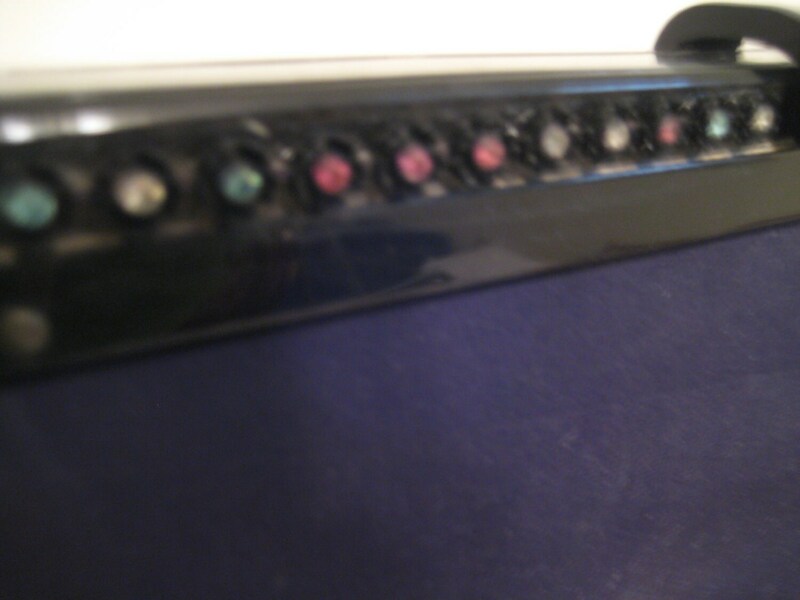 It is bordered along the top edge with multi-color rhinestones. The lining is silky gold / yellow. 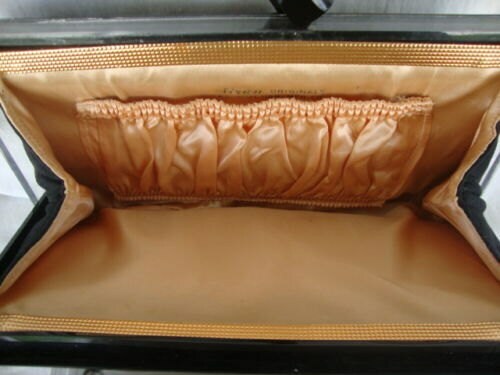 It has a large wall pocket and very clean. 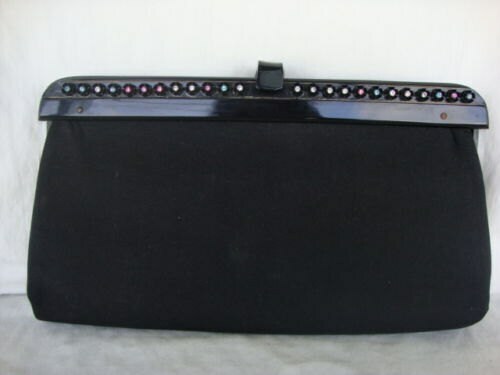 This lovely clutch measures 11 inches long, 6 inches high. A special bag for a special evening.